Invisalign offers subtlety in orthodontic treatment, and that’s worth a lot — but just how much are you willing to spend on clear braces? 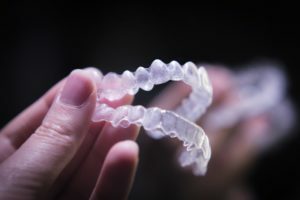 The initial cost of Invisalign can make some patients wary, but we always advise considering the significant benefits of this treatment before deciding against it. Plus, dental insurance can sometimes offer a little help, too. Keep reading to find out more about the real cost of Invisalign. 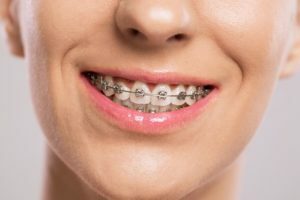 Metal braces are a time-consuming process, but with proper post-care the results can last a lifetime. That means it’s worth it to take the necessary steps during your treatment if it means a healthier and straighter smile. That’s why your dentist is writing all about the foods to avoid while undergoing treatment, how to properly clean your braces, and how often you should see your orthodontist for checkups and adjustments. Trust us, you’ll want to make these tips into habits. Your future self will thank you later. Clear Aligners from Invisalign vs. Six Month Smiles: What Should You Choose? 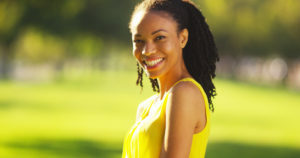 As orthodontics have advanced over the years, there have been more and more ways to correct crooked teeth and bite problems in patients. The popularity of clear aligners has soared over the past decade, giving traditional braces a run for their money. But what is the more recent Six Month Smile treatment? How does it compare to Invisalign? Your dentist In Polaris is wondering the same question. That’s why they’re ready to lay out the differences so you can make an informed decision. 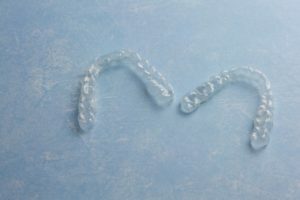 Comments Off on Clear Aligners from Invisalign vs. Six Month Smiles: What Should You Choose? There’s one thing for sure. The Ohio State football program is known for producing top-notch running backs like Robert Smith, Eddie George and Ezekiel Elliot. And those backs have always been tough, dependable, sure-handed and fumble-proof. You admire that about them, so now that you have your new Invisalign clear trays, you want to make sure that you don’t fumble either. You’ve waited for so long to get into the game of straight teeth and beautiful smiles that you’re definitely not going to mess it up by improperly caring for your clear trays. 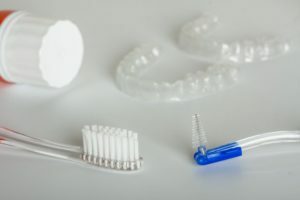 Therefore, you’re eager to learn these 5 Invisalign cleaning tips from your dentist. It’s your last scheduled day of wearing your Invisalign clear aligners so you jump out of bed, ready to show off your new smile to the orthodontist. After making it to the office, the treatment proved to be a success and you hand your aligners back and head on your way. However, the doctor stops you from leaving. “Did you forget? We need to give you your retainer.” At first you’re puzzled, then you remember back to the first day of treatment. Your Polaris orthodontist mentioned you’d need a retainer after you finished wearing your aligners. High school can be the best four years of a person’s life…or the worst. 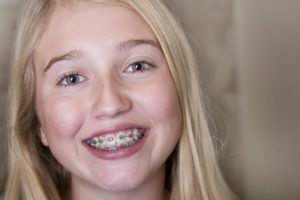 One way you can help your teen cope the most challenging times that they’ll face as a young adult is to provide them a way to straighten their teeth discreetly. Invisalign can help your teenager achieve the straight smile that they won’t be able to stop showing off!